Vascular Surgery, or Peripheral Vascular Surgery, is the specialty of Surgery which is concerned with the diagnosis and management of the diseases and trauma of the blood vessels, namely the arteries and veins, and of the lymphatic vessels of the body, with the exception of the diseases (and trauma) of the vessels of the heart, lungs and brain. Vascular Surgery is not as attractive to the eyes of the public as Cardiac Surgery is. Obviously, the heart is an extremely important part of the circulatory (cardiovascular) system, but it is exactly only that: a part of it. The rest of the system is equally important and its diseases may lead to failure of vital organs, amputation of limbs and strokes. Vascular diseases are common, but unfortunately the value of their prevention and early management has not been adequately stressed, which means that vascular diseases are too often left untreated until their effects are irreversible. 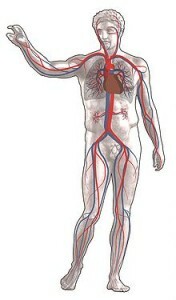 The management of vascular diseases in addition to lifestyle changes (such as giving up smoking, eating healthily and taking regular exercise) may be either conservative (or non-surgical or medical), involving medicines, special products etc, or interventional, involving an open surgical or an endovascular procedure or a combination of them. It is self-evident that the only physician qualified to evaluate and offer total treatment to patients with vascular diseases is the vascular surgeon, or vascular specialist, who has been fully trained in the field of Vascular Surgery and possesses the certificate of completion of training in the specialty. Unfortunately, in several countries including Greece, there are cases of patients with vascular diseases being managed by doctors of other specialties – not trained in Vascular Surgery – who even proceed to interventional vascular procedures. These doctors usually don’t have any surgical training and are biased in favour of certain treatments only which they are able to offer. Obviously, under those circumstances, patients cannot have an evidence-based consultation about their health problem, the treatment which is best for them and any alternative treatments, which are absolute prerequisites in order that they create a global picture of the factors and consequences of their condition and make an appropriate decision.